Superstorm Sandy resulted in hazardous debris deposits on roads and in neighborhoods of Suffolk County. July 17, 2013 - Albany, NY - U.S. Senators Charles E. Schumer and Kirsten Gillibrand today announced $14,892,111 of Federal Emergency Management Agency (FEMA) Public Assistance funding for the Suffolk County Public Works – Sanitation Department which will reimburse the costs for debris removal operations as a result of Superstorm Sandy. 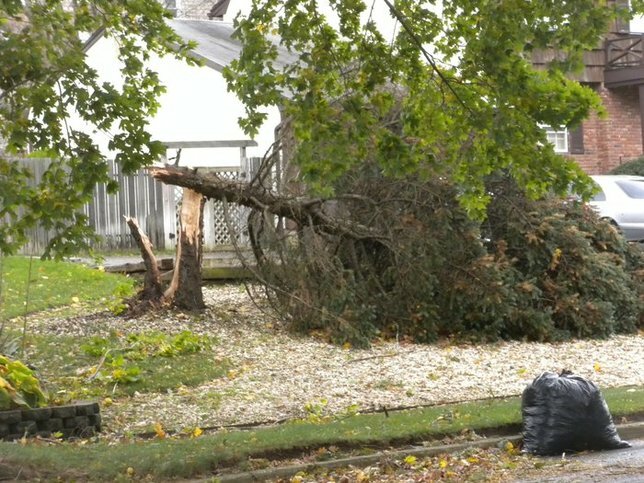 Superstorm Sandy brought strong winds and heavy rains to the New York tri-state area, resulting in downed trees, scattered vegetative debris and other materials strewn throughout busy roadways. Debris was deposited onto public rights of ways, streets, and public access areas throughout the County that posed an immediate threat to public safety and therefore, needed to be removed and disposed of. FEMA has awarded the Suffolk County Public Works-Sanitation Department over $14 million in funds to reimburse them for the costs of debris removal that resulted from Superstorm Sandy. Approximately 464,154CY of vegetative debris removal including fine disposition of debris was performed following Superstorm Sandy. Subject: LongIsland.com - Your Name sent you Article details of "Schumer, Gillibrand Announce Over $14 Million in FEMA Funding for Debris Removal in Suffolk County After Superstorm Sandy"